What could be funnier than pants? 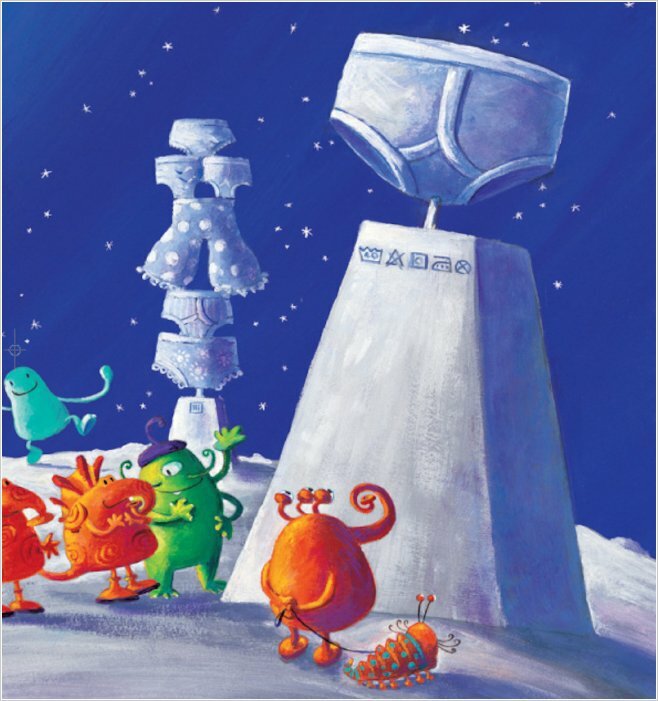 Aliens in pants – and this book is full of them! 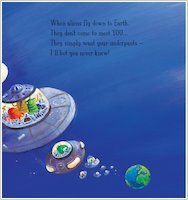 You thought they came to Earth to take over the planet – but no! They just want to steal your pants! 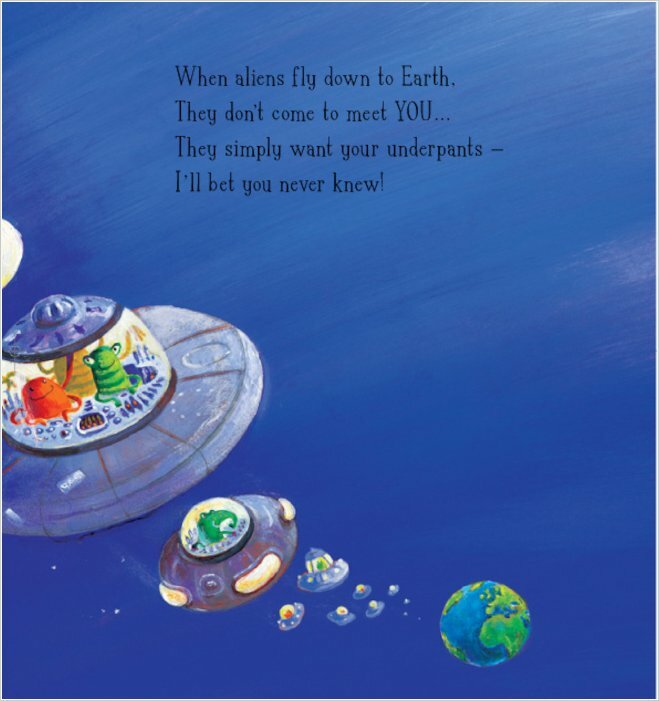 This madcap rhyme describes the mayhem that breaks out when naughty aliens visit Planet Earth to get their mitts (and tentacles) on pants. 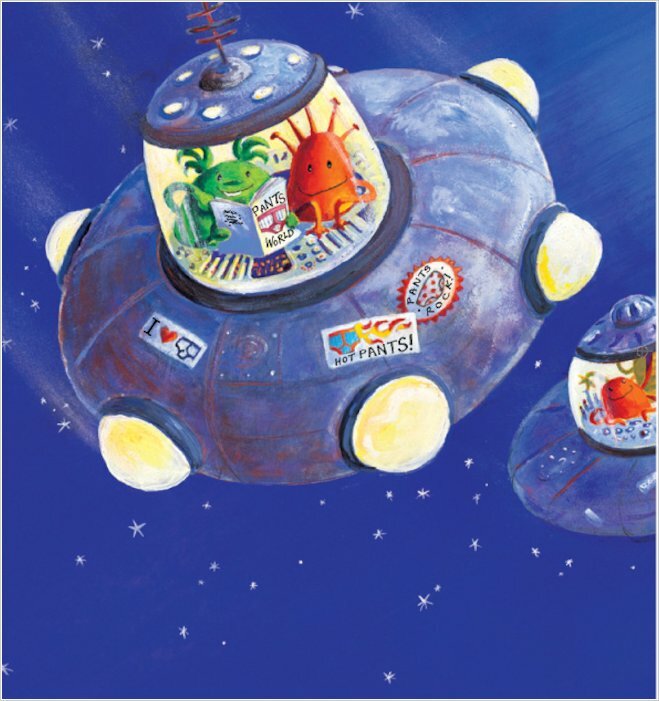 Imaginative, merry and full of cheeky chuckles, it’ll have you laughing your pants off! 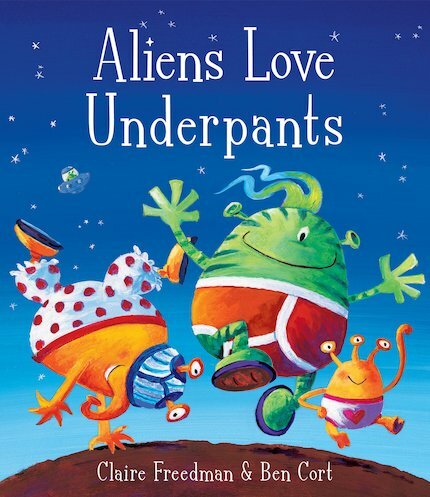 Colour in this alien and his funky undies too! 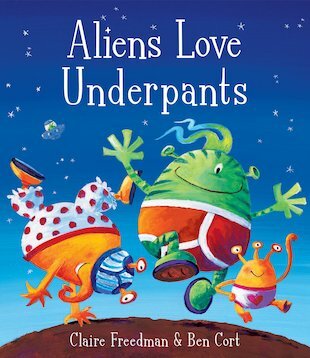 Aliens Love Underpants - Colour in the Alien! Aliens Love Underpants - Decorate Your Very Own Pirate Hat and Eye Patch! 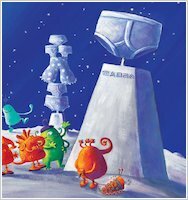 Aliens Love Underpants - Design Your Own Underpants! 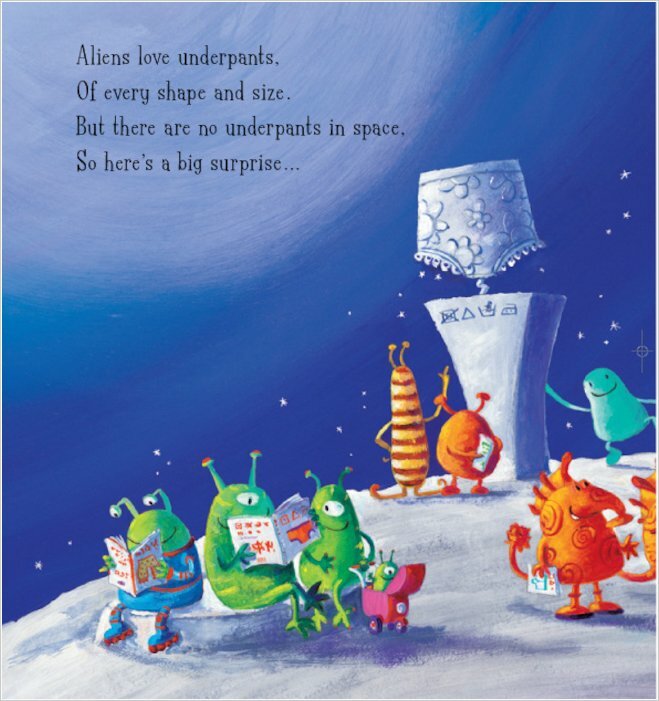 Aliens Love Underpants - Monster Mask! 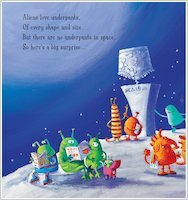 Find ‘pants’ and some other words that aliens love in this wordsearch! Sorry to say found this book really dull. Great pictures but I found the story really boring.